Most contractor license classifications in Hawaii are regulated by the Department of Commerce and Consumer Affairs. Hawaii contractor licensing can be an arduous process if not handled correctly. All applications must be approved prior to taking the exam. 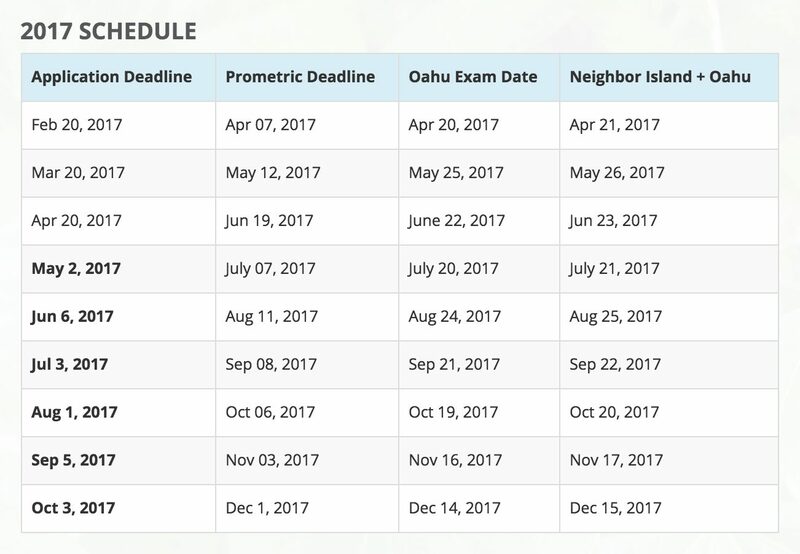 The deadline for approval is the 20th of each month prior to the exam. The 2015 exam schedule is listed here. Exams are administered by Prometric.